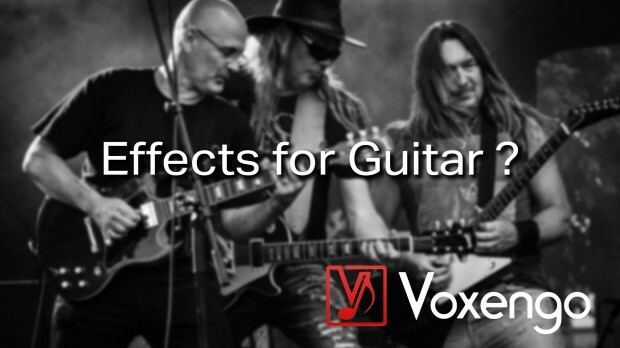 Voxengo makes outstanding plug-ins that are perfect for creating guitar sounds. They are really a notch above the others. During ‘Guitar Month’ you can get our selection of the best of them at a cost-saving 25% off the regular list prices. CRTIV Chorus is able to produce stereo-widening and weird modulation effects. The Chorus plug-in uses 4 operators for each channel, thus creating a a very lush stereo chorus guitar sound. CRTIV Reverb provides a wide palette of reverb spaces while requiring only a minimal effort to use. Since the reverb uses a kind of “true stereo” algorithm the panned sounds receive a good stereo field placement for your guitars. Crunchessor is remarkable for its valve-type processing, which is applied in parallel to compression. This makes Crunchessor an ideal choice for guitarists who are fond of analog compression sound and its warmness. Deft Compressor is perfect for compressing guitars. It features a ‘vintage’ compression mode which produces compression sound reminiscent of analog valve compressors. OldSkoolVerb Plus is suited all kinds of sounds. But especially percussive, hard-attack sounds, perfect for picked guitars. Voxengo Polysquasher is a mastering compressor for professional audio and sound production applications. Polysquasher was designed with a main goal: to be transparent, Used on guitar track it will push the sound to the front to dominate the soundstage in a whole new way. This entry was posted in DontCrack, Plug-ins, Promotions and tagged Compressor, CRTIV Chorus, CRTIV Reverb, Crunchessor, Deft Compressor, Guitar Month, OldSkoolVerb Plus, Reverb, Voxengo, Voxengo Polysquasher. Bookmark the permalink.